At just 78 calories each, eggs are an efficient, rich source of protein and vitamins. A large egg contains about 6 grams of protein. Eggs also are a good source of other nutrients, including vitamin D (which aids bone health and the immune system) and choline (which helps metabolism and liver function, as well as fetal brain development). Egg yolks also can be good for the eyes; they are significant sources of lutein and zeaxanthin, which have been found to reduce the risk of cataracts and macular degeneration, the leading cause of blindness in people 55 and older. But egg yolks are also known for their cholesterol. A typical large egg contains 186 milligramns of cholesterol. That's more than half the amount previously recommended for daily consumption beforefederal dietary guidelinesdropped the numerical goal in 2015, citing a lack of scientific evidence for a specific limit. The sunny side of eating eggs? 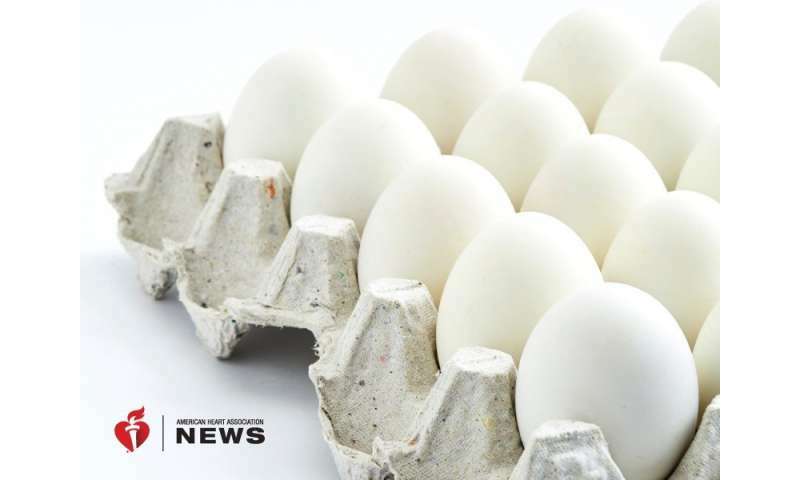 "We are probably more embracing of eggs within a heart-healthy dietary pattern than we were 20 years ago, but it's still a source of dietary cholesterol," said Jo Ann Carson, professor of clinical nutrition at UT Southwestern Medical Center in Dallas. "Eating an egg a day as a part of a healthy diet for healthy individuals is a reasonable thing to do." A study published in May in the journalHeartfound that an egg a day just may keep the doctor away. Researchers studied nearly half a million Chinese adults over nine years and found up to one egg per day led to a lower risk of heart disease and stroke. Experts have pointed out, however, that participants in that study were not eating a Western diet. Another study from May, published inThe American Journal of Clinical Nutrition, found that eating at least 12 eggs a week for three months did not increase cardiovascular risk factors for people with prediabetes and type 2 diabetes. That result went hand-in-hand with a healthy diet designed to help study participants lose weight. But that's not to say cholesterol makes eggs a harmful choice. Carson pointed out that if a person's diet contains little other cholesterol, eggs may be considered less dangerous. "For someone who's decided to go vegetarian, and they're not eating red meat, maybe the only source of cholesterol would be in an egg," she said. "Those individuals could probably include eggs a little bit more in their diet." Eggs must be refrigerated and should be cooked fully because there's an increased risk of salmonella with raw eggs. Common ways ofcooking eggsinclude boiling, poaching, scrambling or frying. Egg whites provide plenty of protein without the cholesterol of the yolk. Carson recalled making lower-cholesterol scrambled eggs for her children by combining two eggs with two egg whites. "There's other good things in the yolk that you're going to miss out on if you don't have the yolk," she said. For people who like fried eggs, Carson recommends using a non-tropical vegetable oil such as corn, canola or olive oil: "Certainly not adding animal fat would be a good thing to do. If you're going to use fat in your food, use a heart-healthy oil … instead of butter or bacon grease," she said. "But the bacon wasn't a great idea to begin with."